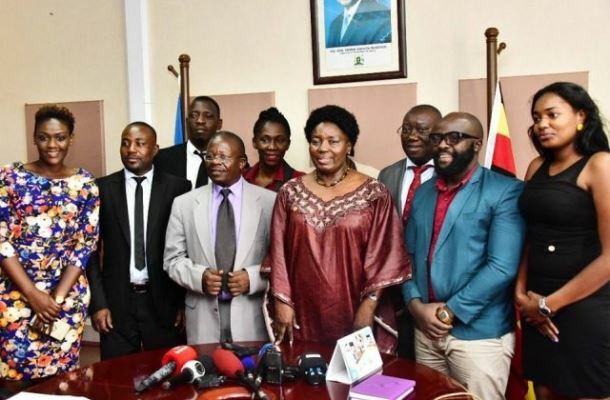 The Uganda federation of performing artistes Association has petitioned speaker Kadaga demanding for an independent ministry. The artistes met the speaker on Monday 28th and the speaker promised to work on their issues. The leader of the federation Andrew Benon Kibuuka said they thought artistes would be only regulated by ministry of gender and social development but it was discovered that there are other ministries like tourism among others that are also regulating artistes. He further proposed that for the meantime, government provides them with a commissioner for artists as they wait to institute for them an independent ministry. Lubaga south legislator Hon Kato Lubwama said there are many people who don’t even possess any talent including in the entertainment industry so the rules and regulations will help to eradicate such elements from the industry. He further stated that the good thing is that the industry in currently full of young and energetic men who will help uplift the industry. Meanwhile Kadaga promised them that all their issues will be worked upon through the minstry of gender.